One of the best bits of being pregnant is choosing a pram for your baby. There are so many choices! 3 wheeled, 4 wheeled, carrycot or lie flat stroller, travel system, coloured or patterned? I loved trying out the prams in the shop, pushing them down the aisle and imagining that I was pushing my baby in the park. The problem was that we couldn’t really afford a new pram. We were very lucky and a kind relative offered us the pram that they had used for their daughter. It was a silver cross sleepover with a classic chassis. I was a bit unsure about it at first if I’m honest. It looked big and bulky and I thought that it would be difficult to manoeuvre. How wrong could I be! The first time I used it I was very pleasantly surprised. It has great suspension which made kerbs and the fact that it had to be lifted slightly to turn a doddle! Baby boy was extremely comfortable in it and despite it being a chilly February he was nice and cosy inside. Then disaster struck! The pram broke. My mum, who is very handy, took a look at it but decided that it couldn’t be fixed. I was gutted. Reluctantly, I bought a second hand obaby zezu from eBay. Again I was pleasantly surprised. It was lovely to push with its air filled back tyres and front swivel wheels. We have turned it into the pushchair now rather than the pram and it is still lovely. However, I have recently found myself dreaming about the silver cross. Although my mum originally thought that it couldn’t be fixed, a week later she had a go and managed to repair it. She kept it at her house to use when baby boy visited. I think about how classic it is and how cosy baby boy would be now that it is coming up to autumn. I am torn between the two prams! I love the ease of use of the zezu but I long for the classic look of the silver cross! What should I do? I’m going to have to think about it a bit more and probably discuss it with Mr K. Oh the dilemma! How did you choose your pram? We too got given a pram, which was a Quinny buzz, but as easy as it was to push it was just too heavy getting it in and out of the car! I’ve just bought an out n about nipper 360 which I love! I think it’s lovely to be able to reuse a pram. What a shame that it was too heavy. The one we have now is not actually that small and a bit of a pain in the car but at the moment we don’t use it an awful lot with the car. We tend to use the sling if we drive anywhere. I am obsessed with prams!! 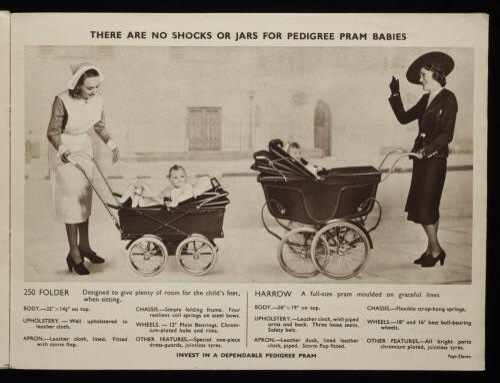 I love test driving prams and I always read about the latest prams. Most prams are too expensive for my liking though, I only buy inexpensive ones. Despite my obsession, I’m not exgravagant. Use one that’s easy to get in and out of the car. Hope you get to chose soon! I don’t actually tend to use the pram much with the car to be honest. I use the sling more. I use the pram for local walks really. I had a complete obsession when I was pregnant. Like you though I found the prices ridiculous!